Do you have a Pokémon tip? 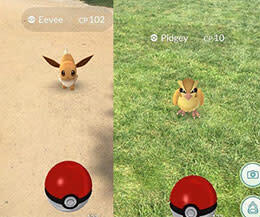 Places to search, funny images, good resources, special offers for Pokémon players? Tweet, Facebook, or Instagram us using #FXVA or @VisitFairfax! 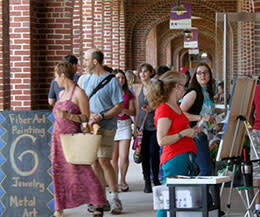 Email us at visitfairfax@fxva.com. 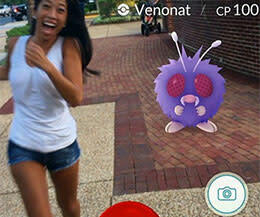 Pokémon in Fairfax County, Captured by You! Fairfax County&apos;s parks are a great spot to look for those magical little creatures. 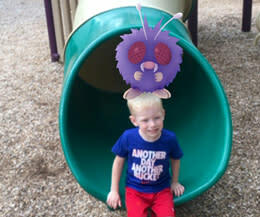 We&apos;ve heard Pokémon have been spotted at parks including Huntley Meadows, Burke Lake, Great Falls Park (see photo), Lake Newport, Ellanor C. Lawrence Park and many others. Gardens are another great place to search: Green Spring Gardens has a gym, a number of PokéStops and yes, stunning flora beyond the phone screens. 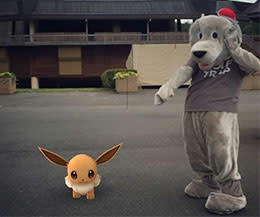 River Farm, a former farm owned by George Washington with beautiful gardens, invites players to come #catchemall and then stay for a self-guided tour and a glass of lemonade. And for a different kind of park, swing by Roer&apos;s Zoofari to look for water Pokémon and a stock up at the PokéStop. Shopping centers are major pedestrian zones, so it makes sense that Pokémon have congregated here. Many a sighting has occurred at Tysons Corner Center, Reston Town Center, and Mosaic District. Be on the lookout for lures, PokéStops, gyms and Pokémon. Others have been spotted at Fairfax Corner (see photo) and the various smaller shopping plazas around the county. Shopping areas may also be great places to connect with other players and make new friends! Yes, it&apos;s true! Even Pokémon like to soak up some history. George Washington&apos;s Mount Vernon had some unexpected visitors recently (see photo to right). Also, the National Air and Space Museum Steven F. Udvar-Hazy Center - home to the Space Shuttle Discovery and the fastest jet in the world, the Blackbird SR-71 - has free parking after 4pm, which may be a great time to explore this site. Players can also look at Ox Hill Battlefield Park, a major Civil War site in Fairfax. 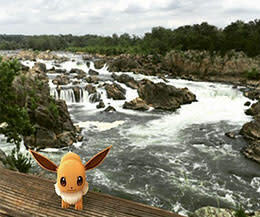 In nearby Washington, DC, you may find Pokémon at places like the Smithsonian National Zoo, the Hirshhorn Museum and Sculpture Garden, and the National Mall. 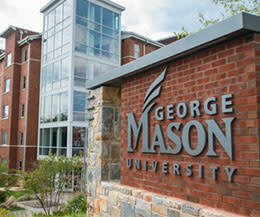 The George Mason University (Fairfax) campus, located in Fairfax and home to the EagleBank Arena and the Center for the Arts. GMU is a Pokémon haven and has been reported to have dozens of PokéStops, a gym and a variety of Pokémon. In fact, the University has a page (complete with map) showing all the reported PokéStops found throughout campus and a list of helpful tips and advice to keep safe while you&apos;re on your adventures. There are 677 acres to explore - so go forth, keep your wits about you, and have fun! Hunt for Pokémon and take in one of the most unique art campuses found anywhere in the Capital Region. Once a prison complex, today The Workhouse Arts Center consists of six (6) artist studio buildings, the main galleries, the W-3 Theatre, and supports more than 100 professional and emerging artists by providing them affordable studios and galleries to exhibit their work. Check their calendar of events before you head to the campus as they have a bevy of events throughout the year ranging from concerts and theatrical performances, to fireworks and other seasonal events. 7. On Your ... Head?